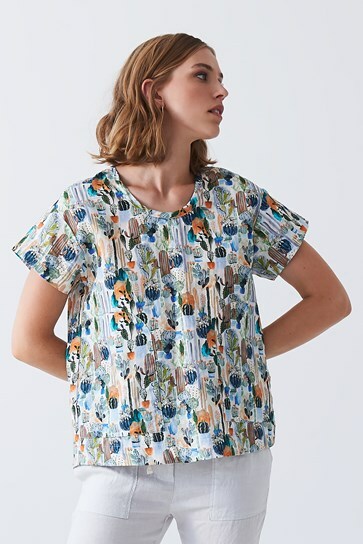 Cute and quirky, this linen tee in the Kaktus print will add to any outfit! Made in a loose fit style with a classic round neck, cap sleeves & side patch pockets, and made from a beautiful quality Linen/Rayon blend fabric. Cool gentle wash. Drycleanable.